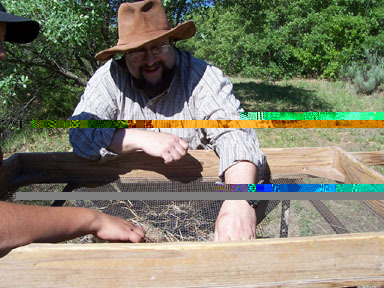 Hands-on workshop will provide the sensory experiences of a working ranch, with direction by a regional writer and creative writing instructor. Visits to the actual sites of a sandstone-lined dugout, line camp, spring house, and barn built by Matador cowboys will provide visual details and start creative juices flowing. Instruction will include writing exercises, specific methods on writing the short, short story, and a bunkhouse session of sharing ideas and impressions. A bandana lunch will be enjoyed under the cottonwoods along a bubbling brook. Then the late afternoon chuckwagon meal will allow spouses to join in the fun as the writers read something written during the day. This workshop will benefit not only regional and wanna-be western writers, but those involved in writing mysteries, sci-fi, romance, and fiction. Contact us for more information or reservations. Join us for a moonlit ride along ranch roads following the footsteps of Comanche raiders. First, we will have a Saturday night chuck wagon dinner under the cottonwoods by Mott Creek with campfire music, cowboy poetry, and tales of the Comanches, Comancheros, and Cavalry. We will ride out before dusk, and be on the trail as the moon comes up over the hills. Usually, we return after a couple of hours. Then on Sunday morning, we will continue with breakfast and a ride along a portion of the Mackenzie Trail, tracing the 1874 pursuit of the Comanches by the 4th Cavalry. Bring you own horse and join up to ride the Caprock foothills along Mott and Chimney Creeks where historical sites include a Line Camp, a Dugout, a Pastore corral, and a Horse Pictograph. under the Cottonwoods along Mott Creek. Ride to the camp ground in a wagon pulled by Nell and Bell and then chow down on steaks, dutchoven sourdough biscuits, wild plum jelly, and bacon-fried potatoes and onions, cowboy coffee and apricot cobbler. In the spring and fall enjoy a spectacular firefly show along the bubbling creek. Slow down and unwind under the bright stars while the coyotes howl in the distance. Cookouts start at $25 each, and require at least a party of ten. 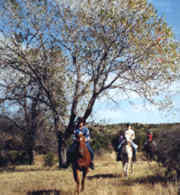 for miles of riding over trails and cattle feedroads traversing 10,000 acres with your own cowboy guide. Stay at Cottonwood Mott, the historic line camp owned for 69 years by the Scottish syndicate's Matador Land & Cattle Co., Ltd. of Forfarshire, Scotland. A nearby bunkhouse with present-day conveniences sleeps six comfortably, with Cowboy teepees also available. Rates vary according to needs and steeds, but generally start at $50 a day. 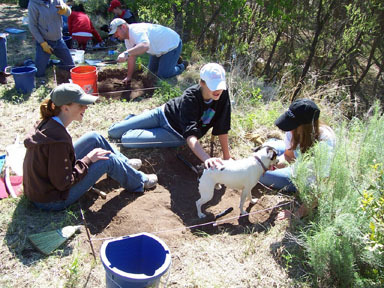 Led by science instructor Rick Day, Andrews Middle School students and sponsors participate in a fall and a spring dig. 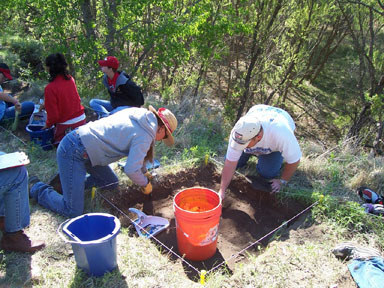 The site is a late prehistoric bison processing camp which occurs at the top of a bluff 20 feet high, along the side of a small creek. Students are getting an opportunity to participate in a real science project, both in the field and later in the lab. 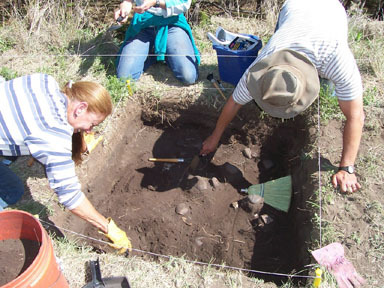 Some of the activities include proper excavation techniques, grid recording and mapping, cleaning and sorting, identifying and labeling artifacts, and site restoration.